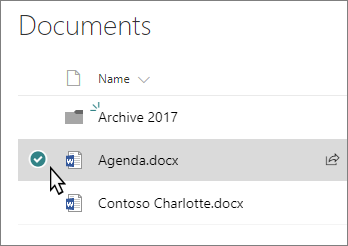 Select files in a SharePoint library. Click Move to on the command bar or the actions menu to open the move panel. 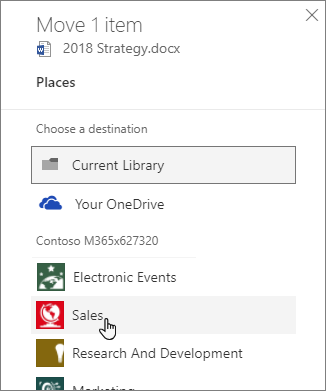 On the move panel, choose a destination in the current library, OneDrive or another SharePoint site. SharePoint Server 2019 currently only supports the current library. 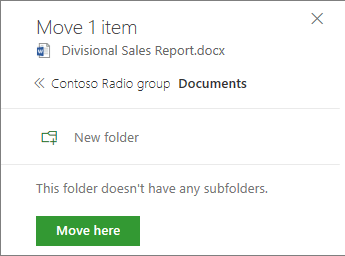 On the move panel, select a folder in the current library and select Move here. Or, select New folder to add a new folder and move the file there. Enter a name, click the check mark, and then select Move here.